Neither Denzel Washington or director Antoine Fuqua ever wanted to do a sequel before working together on The Equalizer. Their partnership, which includes Training Day and The Magnificent Seven remake, is one of the best going in Hollywood, and so it's no surprise Fuqua wants to see it continue now that The Equalizer 2 is done and playing in theaters. 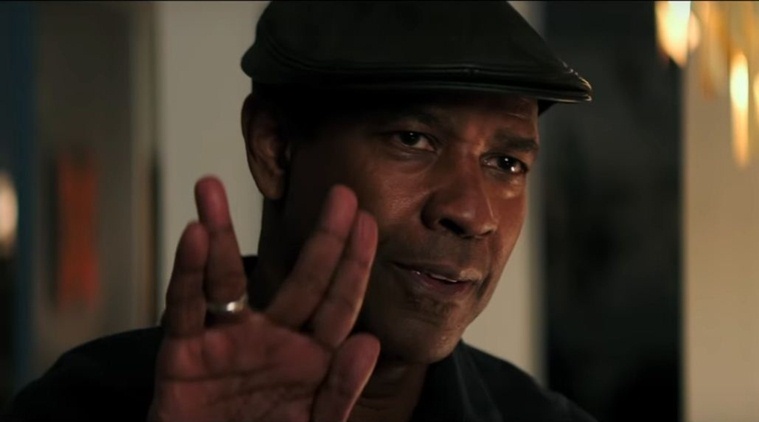 “I would love for it to take place internationally, I think Denzel would be a great James Bond-type character. [Denzel and I] talk about a lot of different things. I’ve got some things I’m developing and roles I’d like him to play. Normally, that’s how it works with him. I’m dreaming him up as a cowboy or something, and then I’ve got to go pitch it." Denzel's already done the cowboy bit, so who knows how that might go. However, one idea Fuqua has that is definitely intriguing is the Tony Montana role in his remake of Scarface. Fuqua has been attached to the film for years, and most recently it was Diego Luna attached to play the infamous drug kingpin. Last we heard Luna seemed to be on his way out, and Fuqua thinks Denzel would be a good replacement. Um...yeah, I'd call that a positive step in the right direction. “My dream is for him to be Scarface. He laughs sometimes and he kind of goes, ‘[Al] Pacino did a great job! I don’t want to do that.’ I’m nudging him. I’m trying to nudge him into doing it,” said Fuqua. I think Denzel as Scarface has the makings of a potential Oscar nomination, but it all depends on whether Fuqua can sell him on it. Stranger things have happened. Best to keep a close eye on this.